The entire country will fall into shadow as the "Great American Eclipse" passes, though the darkest path, or "totality," will be contained in a 70-mile (113-kilometer) ribbon that moves from Oregon to South Carolina. "There has never been an event like this in human history where so many people could participate with such unique technology," Carrie Black, an associate program director at the National Science Foundation, told reporters Friday. "We are expecting millions of people to participate in this event, and images and data from this will be collected and analyzed by scientists for years to come." "This event will rival the moon landing of 1969 as a landmark event for a new generation," said Madhulika Guhathakurta, NASA lead scientist for the 2017 eclipse. "Only with special-purpose solar filters, such as eclipse glasses or a handheld solar viewer, you can safely look directly at the Sun," the agency said. Government aircraft will be dispatched to follow the eclipse and take infrared measurements to determine the solar corona's magnetism and thermal structure. 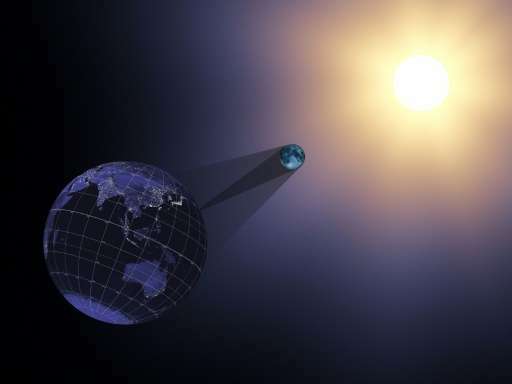 Two other satellite tools aboard the Terra and Aqua satellites, launched in 1999 and 2002, respectively, "will provide observations of atmospheric and surface conditions at times before and after the eclipse," said NASA. "Once you see an eclipse it is kind of a like a drug," said Scott McIntosh, director of the National Center for Atmospheric Research's High Altitude Observatory. "After you see one, you want to see another one." Need a solar filter for your camera, telescope, binoculars?